Ankara – Four people have been arrested after an operation targeting al-Nusra militants in the Yildirim district of the northwestern province of Bursa on Wednesday. The arrested suspects were determined to have been providing logistical support for the jihadist group in Syria and have entered the clash zones under the control of the group. The gendarmerie ain Busra also determined that the arrested militants were recruiting militants for al-Nusra. The armed forces carried out simultaneous operations targeting the groups in the Karapinar, Degirmenonu and Ulus neighborhoods of the Yildirim district between Jan. 15 and 18. The suspects were determined to have been sending money to al-Nusra from Bursa and were later arrested. Arrest warrants were also issued for five suspects who went to Syria to join the organization and who were determined to still be in Syria. Police seized logistical material, pistols, knifes, a sword, computer, a cell phone, CDs and a number of documents related to al-Nusra found in the raids carried out at the targeted addresses. 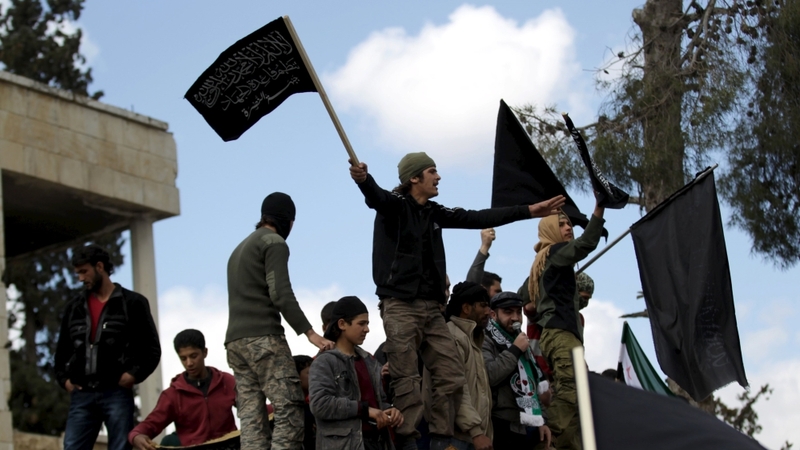 Turkey’s Council of Ministers decided on June 3, 2014 to designate Jabhat al-Nusra, an al-Qaeda affiliate fighting the Bashar al-Assad regime, a terrorist organization. The Turkish government’s decision to designate the al-Nusra Front as a terrorist organization came in line with the policy of the United States and other Western countries. In a common matter, a high-ranking ISIS terrorist was arrested in Istanbul in connection to the Reina nightclub attack. Radown’s capture will hopefully shed further light on the ISIS terrorist network in Turkey. Shortly after Uzbek national Abdulkadir Masharipov was captured in Istanbul, it was learned that ISIS suspect Abdurrauf Sertin was responsible for providing homes to foreign ISIS terrorists across Istanbul, allegedly providing housing to Reina nightclub attacker, Masharipov. The discovery led police forces to make 10 arrests, all of them foreign nationals, at one of those houses run by Radown in the Zeytinburnu district of Istanbul, where suspects were found without passport identification. Abdulkadir Masharipov, the ISIS militant and Uzbek national who is accused of killing 39 people and wounding 65 others in the Reina attack, slaughtered guests at the posh nightclub as they celebrated the new year, fleeing the crime scene undetected amid chaos at the scene. Police launched an extensive manhunt which resulted in Masharipov’s arrest 17 days later. Police have detained a number of ISIS militants and continue to investigate the ISIS organization in Turkey.